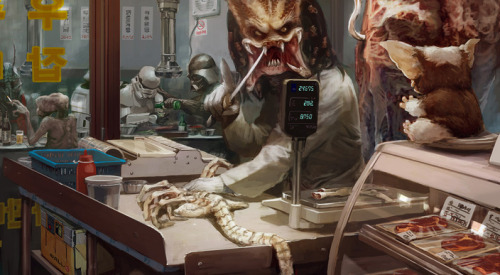 "The trick to preparing Xenomorph at this life stage," the butcher said as he sawed off another leg, "is to cut out the ovipositor. Otherwise, your dinner's just going to be hungry again in an hour." The newest Montreal web series is a lovesong to LARPing. This trailer for "Jodorowsky's Dune" that might have been offers a peek of One of the Craziest Movies Ever Proposed. OpEd: What's up with Unboxing Videos? Ad: Live-action "Attack on Titan"